Have you found an old quarry tile floor or Victorian floor tiles at your commercial property? If so, are you looking for commercial quarry tile floor cleaning Bristol or cleaning commercial Victorian floor tiles service? 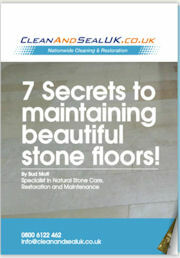 CleanAndSealUK can give you the best commercial quarry tile cleaning Bristol service available. We’re the experts when it comes to cleaning old quarry tiles and cleaning Victorian tiles and making them look great again. Please don’t think they cannot ever look great again because we will prove you wrong with our expert commercial quarry tile cleaning service and our cleaning old Victorian floor tile service. Just contact us to find out more on cleaning a commercial quarry tile floor and cleaning Victorian floor tiles. Victorian Floor Restoration And Quarry Tile Floor Restoration Experts For Your commercial Property. Do you want a commercial floor cleaning company that loves to restore Victorian floor tiles and takes enormous pride in quarry tile floor restoration in Bristol? Then contact CleanAndSealUK. You will be very impressed with our commercial Victorian floor restoration and quarry tile restoration expertise. Our mosaic Victorian floor restoration and quarry tile cleaning restoration projects have been enjoyed by our customers all around the Bristol and we have restored some of the best mosaic Victorian floors and quarry tiles in the country. We can seal your quarry tiles to protect them and enhance their appearance just for you. So you can relax knowing our commercial Victorian tile sealing service for Bristol provides you with peace of mind when sealing Victorian tiles. Our commercial grade quarry tile sealer and Victorian floor tile sealers are used extensively nationwide and is of superior quality. We don’t use middle of the road sealers when it comes to sealing commercial quarry tile floors, thereby making sure your Victorian tiles and quarry tiles are protected from spills and stains. Together with our commercial quarry tile cleaning and Victorian floor tiles restoration services, our quarry tile sealer service is a must if you want to protect your investment.